Can emergency care survive another 50 years? 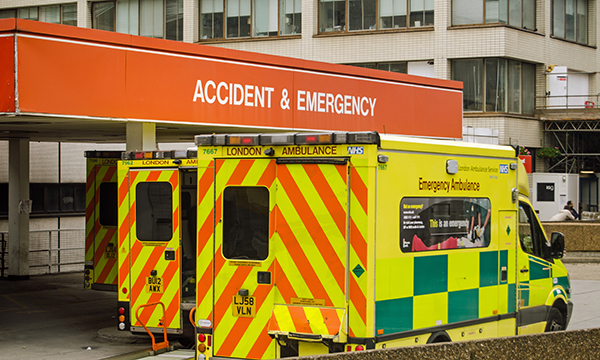 Too many patients must wait excessive periods for care in emergency departments. As the Royal College of Emergency Medicine (RCEM) celebrates 50 years it is timely to reflect on how the specialty has developed to become an immensely complex service delivered by a remarkable and highly skilled team of dedicated practitioners. In 1972, there were only 32 consultants. Senior registrars emerged in 1977, and this led to the introduction of formal training schemes. The Major Trauma Outcome Study 1988 was a major milestone leading to the introduction of Advanced Trauma Life Support courses. It seems only a short time ago that our ‘casualty’ departments changed into the target-driven, economically deficient system of emergency care we have today, in which patients often wait for unacceptable periods in uncomfortable conditions in emergency department (ED) corridors. Anyone who watched the verbal sparring between Labour leader Jeremy Corbyn and Prime minister Theresa May at the first prime minister’s questions in January, will be aware of criticism about the handling of patients who, due to overcrowding, have no option but to remain outside of the ED. Words of comfort for these patients were demanded by Mr Corbyn; ‘nothing is perfect’, was Ms May’s retort. While the persuasive power of statistics on missed ambulance targets, four-hour targets and discharges show how bad the situation has been this winter, a visit to an ED would help the government understand how many patients must wait excessive periods for treatment and care. These patients can be cold, in pain, uncomfortable and frightened, and the situation they are in is unacceptable. Nevertheless, emergency nurses will continue to do their best when caring for their patients.